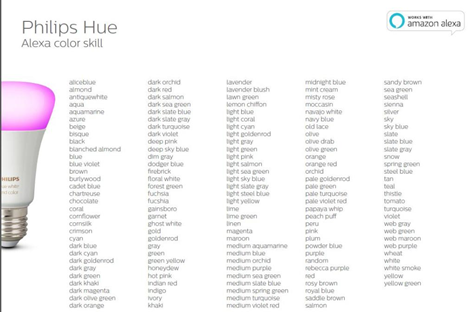 The folks at Hue had earlier sent out a marketing email describing the new functionality and I was excited to see a range of 150+ colors supported. I’ve got a variety of Hue color-capable lights as well as Lightstrips Plus and Bloom lights. The email highlighted sea green so (since this is one of my favorite colors) I tried it first. 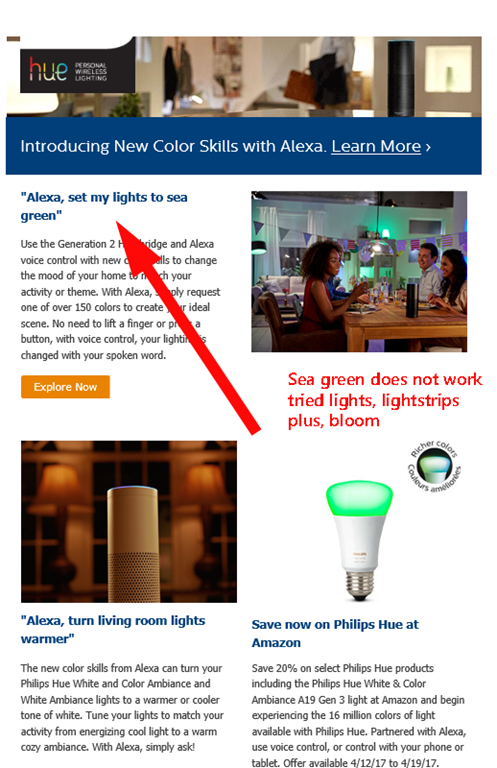 Sadly, even thought it was highlighted in the email, I can’t make it work on any of my Hue lights. 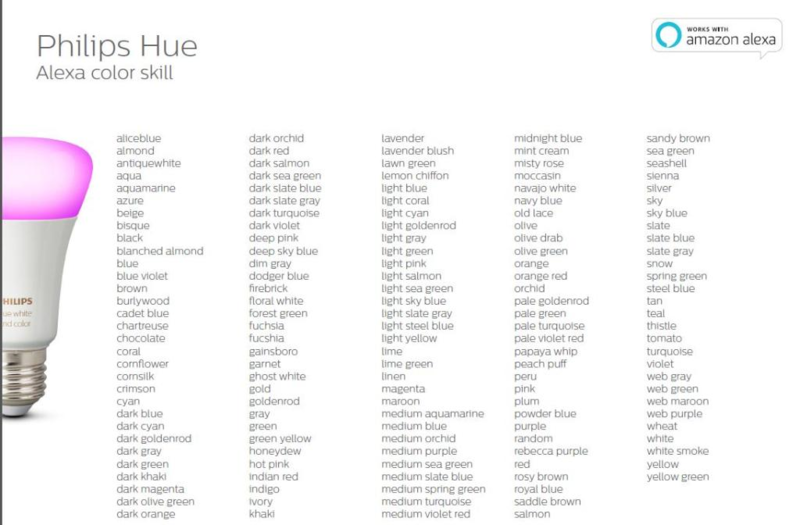 I can, however, use nearly all the other colors in the list. I thought it might be two syllable colors, but since others worked, just think it is a color that somehow didn’t make it into the backend. I asked the Tweet Hue folks on Twitter who said they’d get back to me <crickets>. And, as you can see above, the grammar is pretty bad (probably translated poorly from something else) but the syntax itself is correct. In any case, it IS very cool. Here’s a video showing color commands in action (and the failure of sea green).